With Colonial charm, warm hospitality, comfort and convenience - Avalon Guest Manor is conveniently placed for easy access to Newcastle, shopping centers, cinemas and Century Casino. Avalon Guest Manor offers an exclusive venue for your corporate entertaining. We only deal in small parties of up to 55 guests thereby ensuring ultimate quality and service that you simply will not find elsewhere. Whether you wish to host a cocktail party for 40 in the garden or pool area, entertain just 5 key clients for lunch or dinner or treat 20 guests for a very special braai (BBQ) with a special theme, Avalon Guest Manor is your solution. You can liaise directly with our professional hosts to ensure that the menu is exactly what you and your clients require. 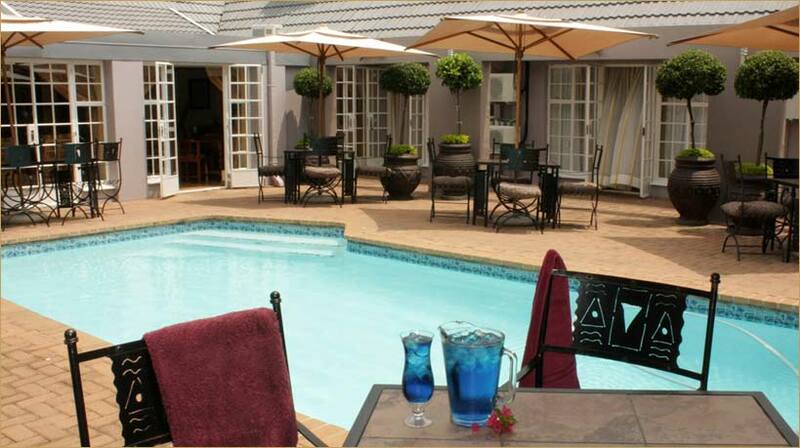 Avalon Guest Manor is also ideal for exclusive corporate functions or small conferences. 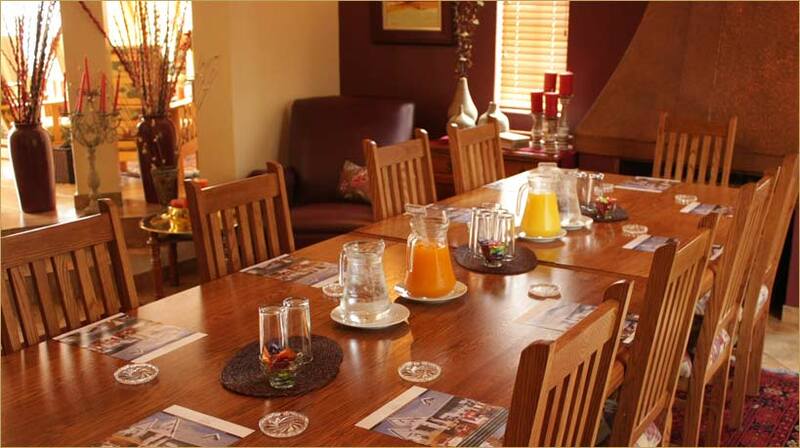 We can comfortably hosts up to 12 conference delegates. • Buffet lunch tailor-made to your requirements. Our Executive Boardroom has been created to provide business the ideal location for their top end business meetings and presentations. When all the work is done busy executives can relax and enjoy post meeting snacks and beverages in our enclosed terrace directly adjacent to the boardroom. Avalon believes that your business comes first and will ensure that all your needs are carefully taken care of through our flexible booking arrangements and conference packages. Whether you come to Avalon Guest Manor on business or on holiday, your stay will be unforgettable. Not only because of the scenic beauty of the location, but also because of the choice luxurious accommodation offered. Spacious and initimate guest rooms offer a haven of rest and relaxation. A private entrance, luxurious en-suite bathrooms each with large showers have thoughtful finishing touches. Our Luxury Rooms have an understated old-world charm, complemented by modern luxury for the discerning traveler. 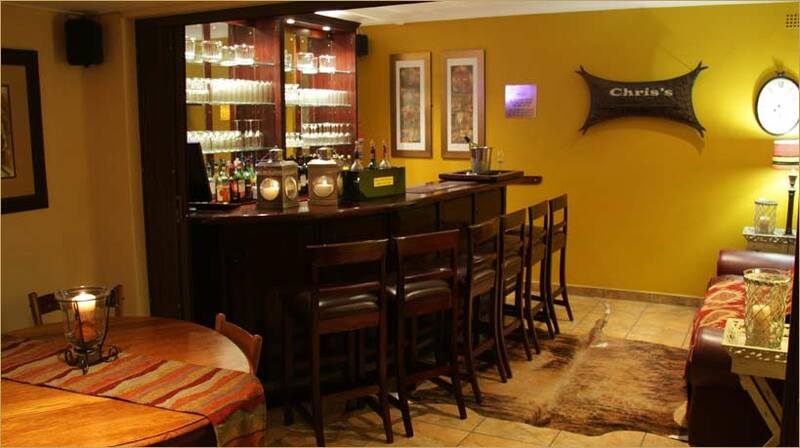 With a classic contemporary theme, Chris’s is theplace to unwind and enjoy a ice cold local beer or a glass of fabulous South African wine. Open till 21h30 the honesty bar is available exclusively to residents and their invited guests. Set amongst charming colonial architecture, our terrace and pool area is the perfect spot to relax after a hard days work at the office. Feel at home, kick off your shoes, sit back and relax with a glass or two of chardonnay. 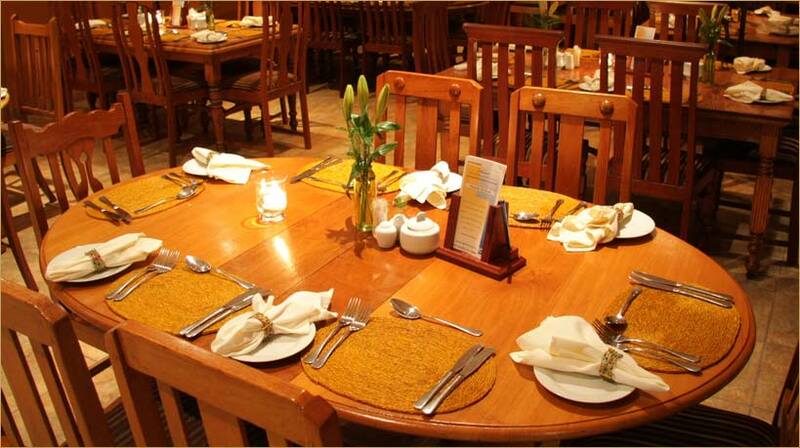 You are invited sit back, relax and indulge in the tasteful offerings of Gabriella’s, our Executive Dining Room. Under the expert eye of our Kitchen Manager excellent service and imaginative South African cuisine is the perfect recipe for a memorable dining experience. Gabriella’s has always served an unbeatable breakfast, marked with variety, abundance and value for money. Our enticing dinner menu’s will satisfy every guests tastes and cravings. Choose to enjoy pre-dinner drinks in our in-house bar, Chris’s or relax in our pool side terrace.